The Montreal Canadiens reportedly pursuing Vadim Shipachyov is like them running after a bus on foot after it’s already left the stop. They had their chance and let it get away. Now it’s almost as if they’re trying to desperately make up for past mistakes with (very) little chance at catching up. No, that’s not a reference to how Montreal had a shot to sign super-rookie Artemi Panarin before the Chicago Blackhawks ultimately won with a smaller offer. Although that was perhaps a symptom of this quagmire the Habs have created for themselves… an inability to attract free agents from overseas (as if they’re having such an easy time with local efforts). If you haven’t heard, Panarin and Shipachyov have history, having played for St. Petersburg in the Kontinental Hockey League together for two seasons. The chemistry between the two was pretty palpable. Of course, the success Panarin has had in the NHL, albeit with Chicago, can probably cause one to question whether or not he was the driver of success between the two, the Wayne Gretzky to Shipachyov’s Jari Kurri (which would still be pretty good). Evgeny Kuznetsov calling Shipachyov the Russian Sidney Crosby, even tongue firmly in cheek due to their same uniform numbers, probably isn’t helping to dull expectations. Nevertheless, the fact of the matter is Shipachyov, with 60 points in 54 games in the KHL, without Panarin who scored 62 in 2014-15, would be a welcome addition to most NHL teams, even Montreal in principle. In practice, it’s a very different story, with head coach Michel Therrien behind the bench. The last hyped free agent the Habs were able to sway away from the KHL was Jiri Sekac a few seasons ago. Obviously, that didn’t work out and it still hasn’t in the NHL for the 24-year-old forward, who has now played for four different NHL teams. That’s not Therrien’s fault necessarily, but it’s not as if he ever did Sekac any favors, continually refusing to show him preferential deployment on any of the team’s top two lines during his 50-game stint here, despite his offensive skill set. Why would a free agent even consider the Habs, if that’s the kind of treatment in store for them? If you’re a staunch proponent of Therrien’s school of hard knocks, you would probably argue Therrien went about it all the right way, only giving top-six minutes to those who earn it like David Desharnais. But the flip side is there’s real value in handling newly minted Habs with kid gloves and giving them plum assignments to bring them along slowly. It’s a lesson Therrien probably has yet to learn, considering how he played youngster Michael McCarron when he was up with the team this past season. It’s also one of many reasons a Russian like Shipachyov, who’s admittedly 29, would hesitate to make Montreal his home, despite its largely European atmosphere. You don’t have to look too far back for another high-profile example of Therrien’s ever-growing reputation of not trusting talent from overseas, and Russia specifically, following the failed Alexander Semin experiment of last year. After Montreal’s first loss of the season to the Vancouver Canucks, Semin was benched, almost as if he had been scapegoated by Therrien, in spite of the team being 9-1 at the time. Of course, Montreal lost the next, infamous game to the Edmonton Oilers despite leading 3-0 at one point, and Therrien promptly put Semin back in… a half-month later. Semin would only play in six more games and 15 total, scoring four points, before his contract was terminated. He then went back to Russia and proceeded to find success with Magnitogorsk Metallurg, who won the KHL championship with Semin finishing third in team scoring, proving finally he can contribute to a winner… as if the 9-0 start to the Habs season ever left any room to doubt that fact. If Semin had scored more than the single goal he did with Montreal, maybe it’s a different story and Therrien decides he’s worth keeping around. The fact remains, in spite of the negative perception surrounding him, Semin showed significant hustle in his limited time with the Habs and put up very good advanced stats. It’s just a shame Therrien doesn’t seem to have a use for them, which doesn’t bode well for a shift in team strategy with a healthy Carey Price presumably returning next season. Hey, you play to your strengths, right? And Therrien’s is no doubt Price, just like it was the duo of Crosby and Evgeni Malkin when he was coaching the Pittsburgh Penguins. Combined with how Habs general manager Marc Bergevin kept him in the fold this summer, for whatever reason, one would have to come to the conclusion he’s one of the luckiest guys on Earth. There is good news, though. 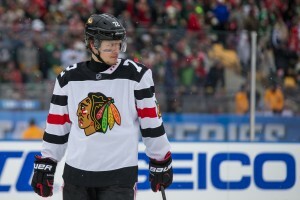 The team’s scouts seem to be doing their jobs, reportedly being one of the first on both Panarin and Shipachyov. With Trevor Timmins as the director of amateur scouting, that entire Habs department seems to be in good shape. And, even if, as alluded to earlier, it’s an exercise in futility for the Habs attempting to bring talent over, it’s not like they can just throw in the towel. They have to keep up appearances and at least try, just like one would with a bus or a train that’s left the station. Unfortunately, the Habs don’t even have a ticket or a hope in hell at this point, having to rely on the conductor first seeing them and then deciding whether or not to take pity on them and let them on board (under the assumption it’s even possible to stop a train at that point). This is the NHL, though. 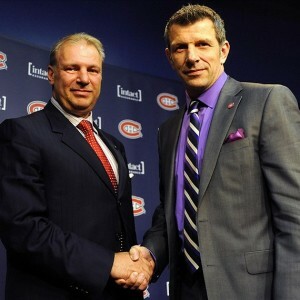 There’s no room for pity, just business, and the Habs have none trying to bring over talent from the KHL. Not anymore and they have no one to blame but themselves.